It is officially back to school season. 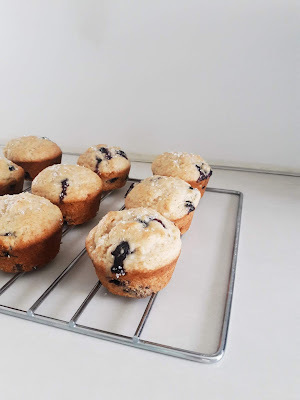 Growing up I loved to make blueberry muffins for school. 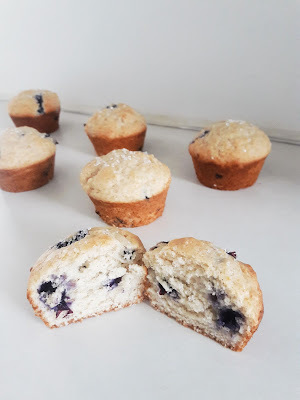 They were perfect for a quick breakfast, to stick in my lunch or to have for a snack after school. I would always use the cheap Betty Crocker mix with the tin can of blueberries inside. Nowadays, I go with this delicious homemade recipe instead. Preheat your oven to 425o. In a large bowl whisk together flour, baking powder, salt and cinnamon. In a medium bowl whisk together the melted butter, sugar, honey and egg. Add in the buttermilk and vanilla and whisk until well combined. Toss the blueberries into the dry mixture. 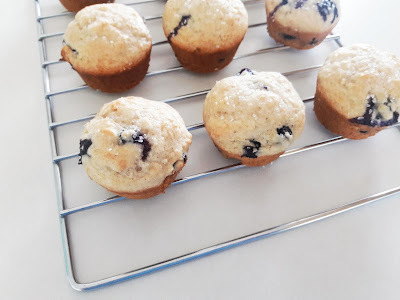 Spray a muffin tin with non stick spray. Divide the mixture evenly into the muffin tin and sprinkle with the sparkling sugar. Bake at 425o for 5 minutes. Reduce oven heat to 375o and bake for an additional 15 minutes or until a toothpick inserted into the center comes out clean. 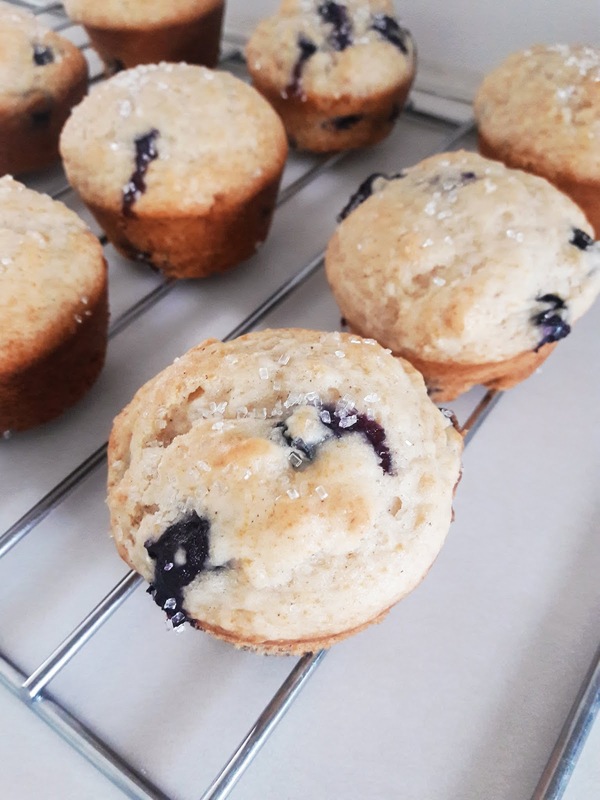 These blueberry muffins are super quick to whip up and turn out so delicious. Erik says they are the best muffins he has ever had. What was one of your favorite treats when you were younger?